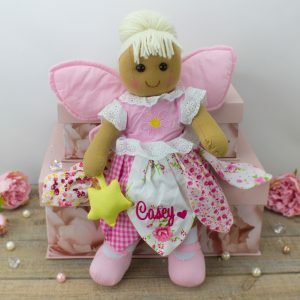 Treat your baby girl to a best friend for life with our adorable Personisled Fairy Rag Doll, the most adorable companion for every little girl from birth to adulthood that is guaranteed to become a treasured keepsake. 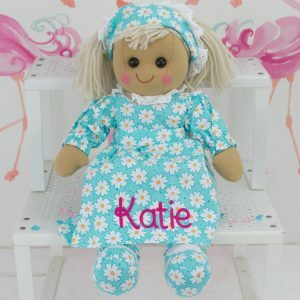 This Princess Rag Doll can be personalised with your little Angel's name free of charge to make for a unique gift! Treat your baby girl to a best friend for life with our adorable Personalised 'Sailor Girl' Doll, the most adorable companion for every little girl from birth to adulthood that is guaranteed to become a treasured keepsake. 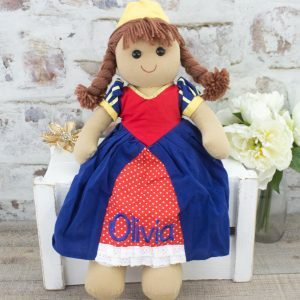 This Sailor Girl Rag Doll can be personalised with your little Angel's name free of charge to make for a unique gift! Treat your baby girl to a best friend for life with our adorable Personalised Red Riding Hood Rag Doll, the most adorable companion for every little girl from birth to adulthood that is guaranteed to become a treasured keepsake. 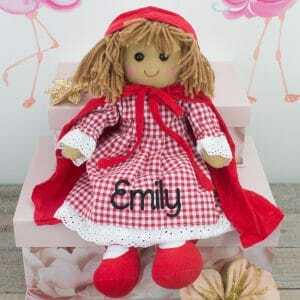 This Red Riding Hood Rag Doll can be personalised with your little Angel's name free of charge to make for a unique gift! 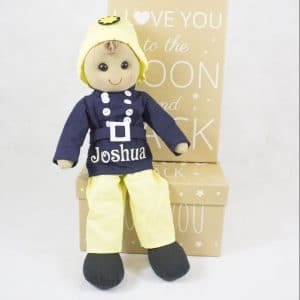 Every little boy needs a cuddly friend to cuddle and keep him company when he is out of the house, so look no further than this adorable rag doll, the ideal 1st companion for every newborn! 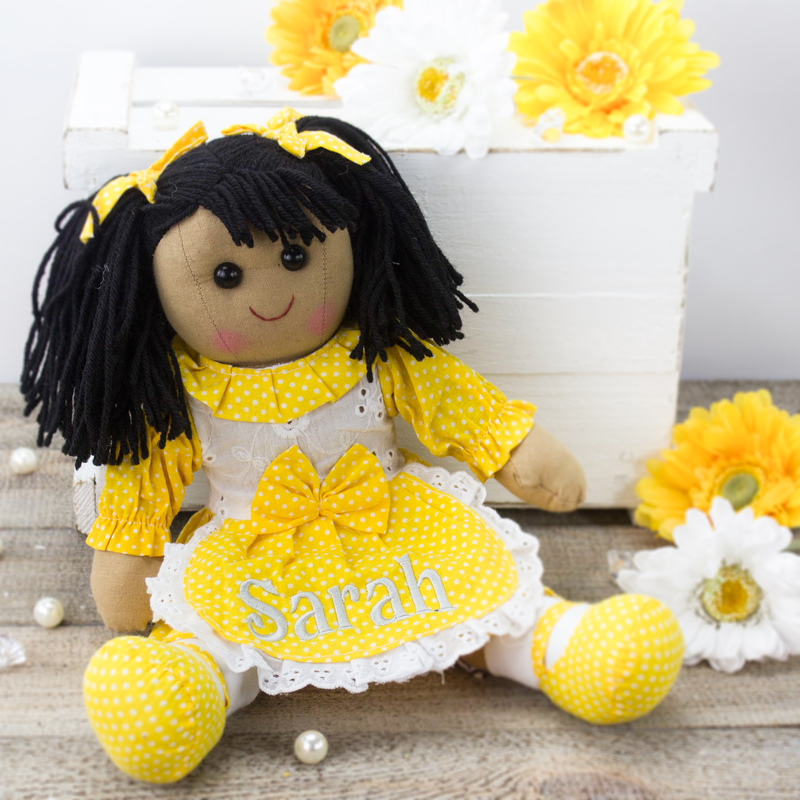 Make sure your baby girl has a friend for life with our adorable 'Suzie' Rag Doll the perfect companion for every little one from birth to adulthood that is guaranteed to become a treasured keepsake. Suzie can be personalised with your little Angel's name free of charge to make for a unique gift!